Dec 31 New Year's Eve Party Ideas! 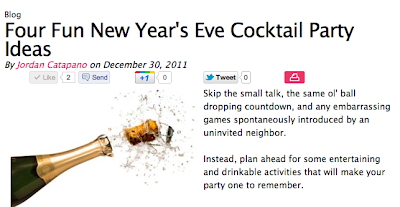 Click on over to ModernMom.com for some of my fun and fabulous New Year's Eve cocktail party ideas. (Party hats optional). Don't forget to take some photos of your soiree to share here on our blog!